You may have noticed this new logo and animation for NinjaBaker.com. The creator of the animation, David Watkinson, is the same man who is the graphics coordinator for the hit FOX TV show, Bones. He just happened to be on hiatus. So I was lucky to snag him for the job. Oh, he just happens to be my husband, too. She goes on to say, “As anarchist Emma Goldman certainly would have said if she were a television critic: If I can’t watch Bones, I don’t want to be part of your revolution.” Click here to read the full article. Ms. McNamara in another article listed Bones as one of the TV shows she watches when she’s off the clock, wanting to relax. 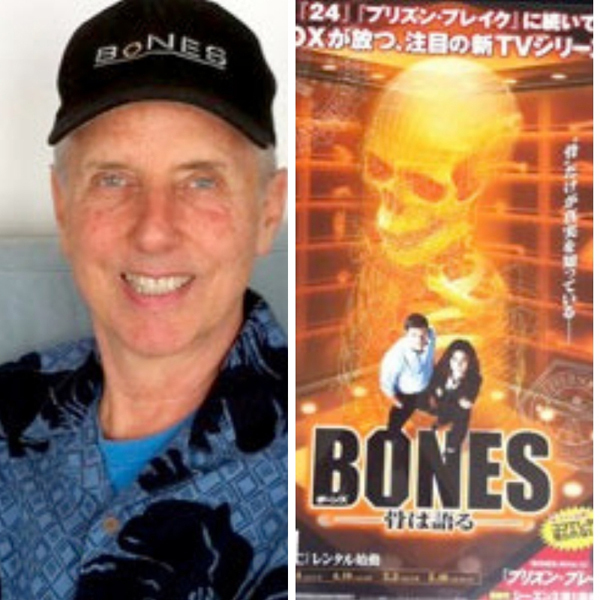 Bones is also popular in Japan. 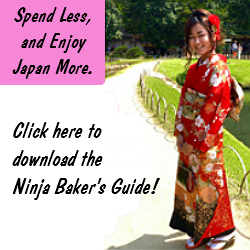 When Japanese singing superstar, Seiko Matsuda made her debut on the show, the Ninja Baker became a part of her American entourage. Matsuda-san's English is excellent so I mostly translated for her (very nice) manager and make-up man. 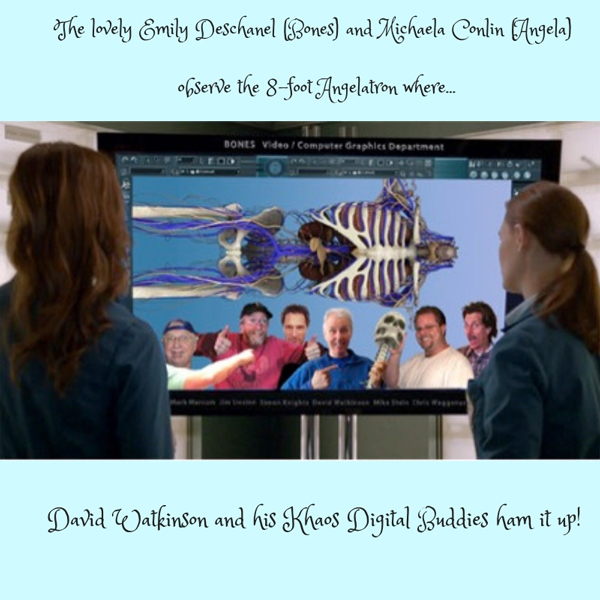 In addition to popular TV shows like Bones, David has worked on many space-oriented films starting with Apollo 13 and including the first two Men in Black movies as well as Clint Eastwood's film, Space Cowboys. You can see more of his credits here. 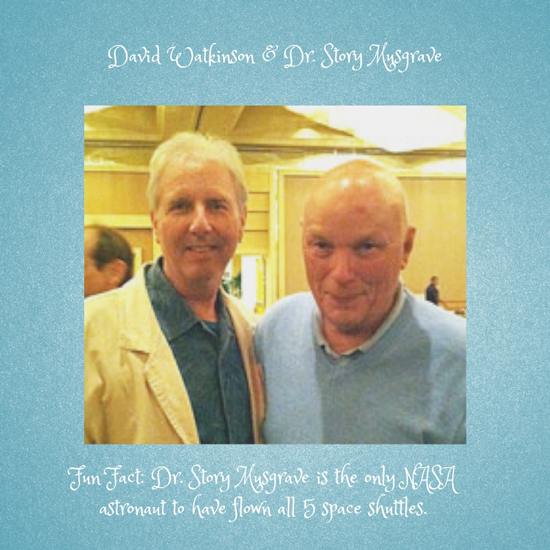 Wishing you a stellar guy or gal who you can foxtrot with to Fly Me to the Moon.